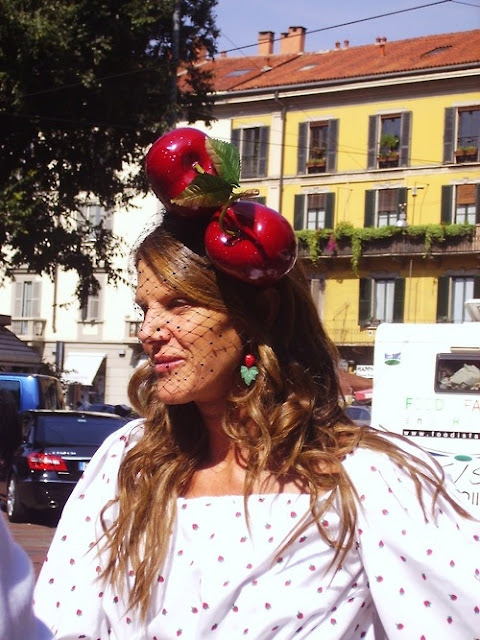 Anna Dello Russo gives us her adult version of the Strawberry Shortcake doll with this look. She wore a Yves Saint Laurent Strawberry Print Dress CIRCA Spring 2010 and topped off this whimsical dress with cherries. How would you style this dress?